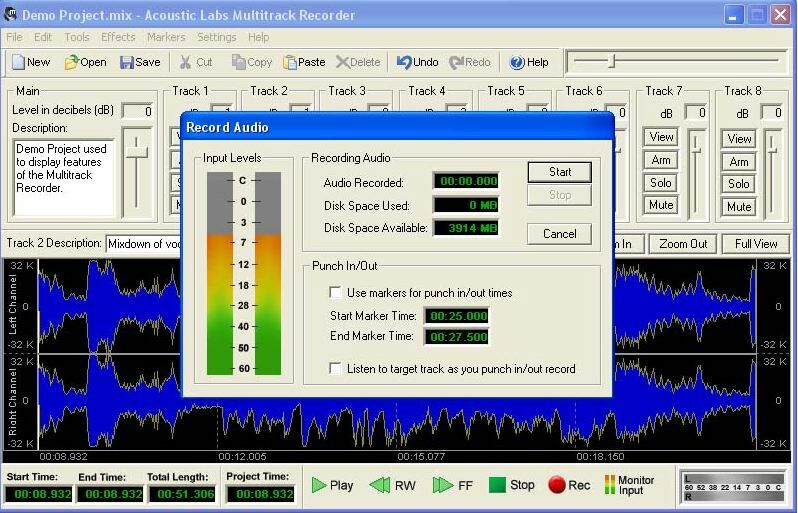 In this article from 2006, Archangel shows you how to record layered beatbox tracks. What do I need to make layered tracks? Layering is the process of building up multiple tracks of audio, one on top of the other, using effects if desired, to create a beat/tune/song that is bigger and more complex than the individual can do alone with one mouth and one mic. Don't get me wrong, raw beatbox is awesome and impressive. But layering has its place too. It is my personal belief that more people will be able to sell albums that are 100% beatbox if the tracks are layers. 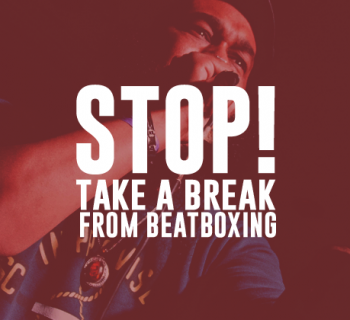 Taking raw beatbox, and making it into full songs/tracks that the average Joe will be able to appreciate, will always have more pulling power than an hour of straight beatboxing alone. I'll move on before the purists have me hung. Layered tracks have the potential to sound absolutely fantastic. I've heard layered techno tunes that sounded like "real" tracks made with synths etc. all done in the kind of software you'll find linked in this article. Some serious audio mangling! But it still came from the mouth. The greatest thing is knowing when not to put things into the mix. Be it effects, or a certain hi-hat pattern, or something that just doesn't sound right. The picture below is of a layered track I made called "Everyone Try". In some parts of the track there are 10 seperate parts happening at the same time. You can listen to the track in full if you care to see how it sounds. There is another good reason to layer, even if it's just for yourself to listen to. Layering at home is a good way to construct rhythms and patterns that you can then practice to do out and about, or on the stage. Some may find this an excellent memory aid. You know when you're sitting at home making funny sounds, and suddenly you realize you just did a great riff. But, oh no, sadly it has vanished from your memory. No worries, you recorded it right? Good. Always make sure you're recording!!! Because now you can chop out the bit which was good. Loop it. And work on that wicked bassline that's floating through your head at this second. Sweet as. Time to throw in a slinky shaker pattern. With a touch of chorus for good measure. Also, it's going to be sounding like it's in the taj mahal. Coz my reverb unit is a'churning. The sky truly is the limit. Let your imagination take you with it! 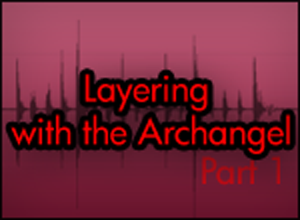 Layering is not about lots of sounds filling space. It's about each sound having its own space. Simple is the golden rule. 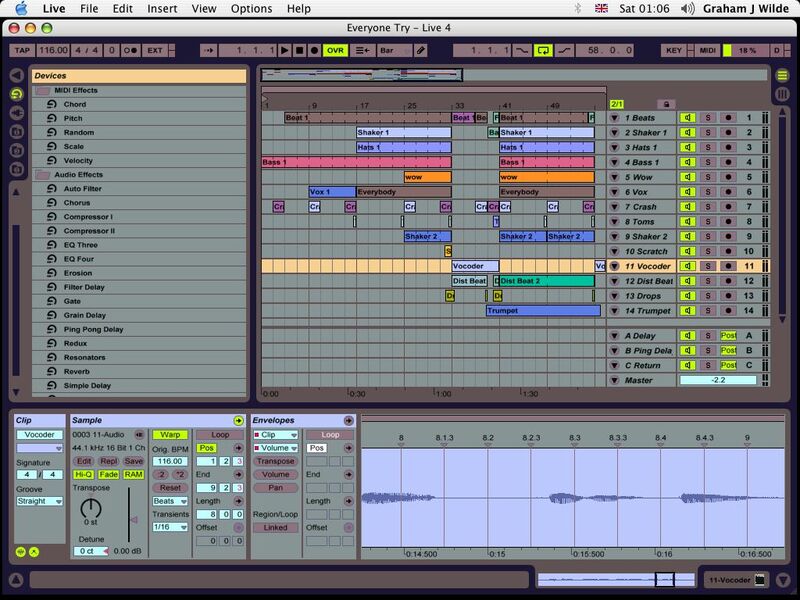 Once you layer multiple simple tracks, the whole thing can sound as complex as you want. So, the idea is to record some beatbox. You then listen back to what you recorded whilst you record your next track. This allows you to follow what you have done already to keep the timing straight. You keep doing this for as many layers as you feel necessary for the particular track you're doing. As you progress, you can mould the layers into whatever song structure you feel. 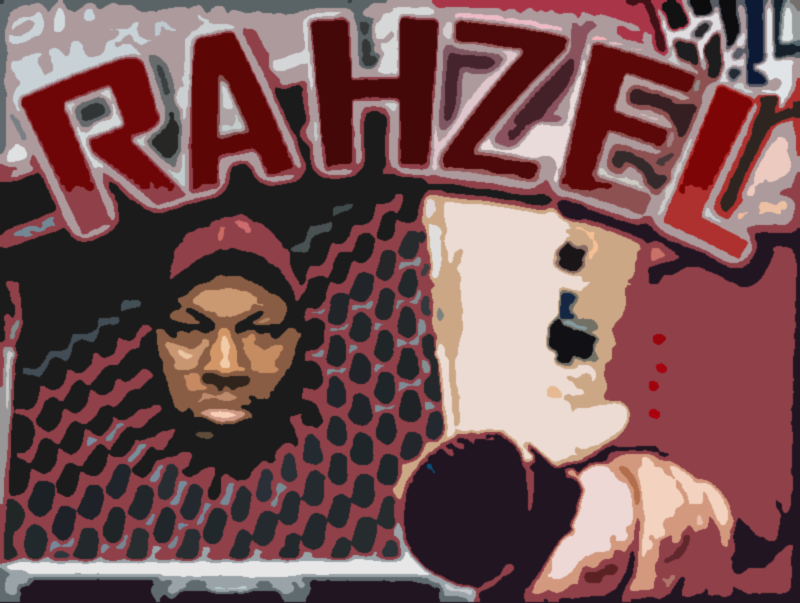 Layering gives you the power to take your beatboxing, not only to the next level, but into a whole new dimension. There are no hard and fast rules about layering. But there are techniques which can make your recordings more professional, and your songs more structured and fully formed. 3. What do I need to make layered tracks? First and foremost, a sense of adventure!!! Any single sound you can make with your gob, nose, throat, and any other scary places, can be put into a mic. Experimentation is the key and you'll discover rhythms through layering you'd not have thought of otherwise. I find this helps my solo beatboxing because it gives me ideas for things to try. Combinations I wouldn't have come across through my usual repetitive warblings. May the force be with you. Below are some of the main programs for each platform. Remember, you get what you pay for. But you can still do good work on the free/cheap stuff. All currencies are in U.S. dollars, but you can find a currency converter here. Audacity (OS 9 and OS X) - FREE! Linux-sound.org - A good link to a library of linux sound software. You'll probably also want to download some extra vst plugins (delays, compressors, reverbs etc). 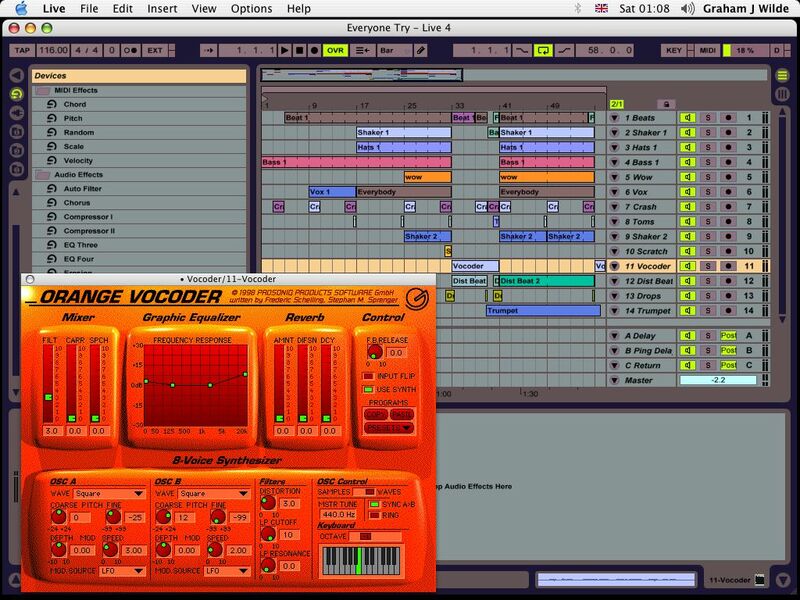 Use a search engine such as Google and search for "vst freeware" or some such thing. There are loads of free ones out there. First pass you do the beat. No bass, no humming, no fx. Second pass you add some bass. Third pass you add percussion. Fourth pass you add scratches. The idea is to add tracks over top of each other that don't conflict. If you do hi-hats in all your patterns, it's going to start sounding pretty cluttered. Unless your timing is more accurate than an atomic clock. Aside from sounds conflicting, you also want each part to make the track sound better. This may sound obvious, but what I mean is that if you add a track that doesn't make rhythmic sense along with the other tracks, you ruin the whole effect. For example, your first pass is the beats. Don't do beats/snares/hats on every 16th note (example below). Leave room for your next pass when you may add percussion sounds etc. The above example has basically the same beat but with less sounds. This provides space between the different hits which can be filled later with percussion sounds etc in another track. As mentioned before, simple is the golden rule. An example of what I'm getting at here can be found in 1970's funk music. Listen to James Brown records or Brick or whoever. Notice that the bassline is very simple. The wah-wah guitar just floats on the same note for beats/bars at a time. The brass section don't do solos, they do little stabs that punctuate the beat. Each part is done very simple. But when you put them together, you get a rip-roaring trouser-wobbling groove. And we can all use some trouser-wobbling! So, keep each layer simple. You will be rewarded with space to put more lovely sounds. Note: These are not hard and fast rules. Just guidelines. If a part of your layered track calls for a busy drum part, or it just sounds right, do it!!! You can also use effects to enhance your sounds and create dramatic sequences, which are impossible to do with the voice. How about a section where everything drops out and your voice sounds like it's in a massive cathedral doing a chant. Impossible with the human voice alone. But slap the voice recording through a reverb effect (be it a vst plugin or outboard hardware) and you can put yourself in any size room you want! Perhaps you'd like that track with only hi-hats on it to have a bit more "swing". Use a subtle delay (echo) effect and bring them hats to life! Or maybe you have a part where you sing, and you want it to sound other-worldly and soft. Stick it through a chorus effect or even a phaser and see how psychadelic it gets baby. Make layers more punchy using compressors. Get rid of bad frequencies with equalizers. Do you see what I mean about the sky being the limit. It's time to go flying! Using effects to enhance the parts. Creating transitions so the different parts of your track flow together.